Atlantic Council of Albania holds its 16th Annual International Conference. 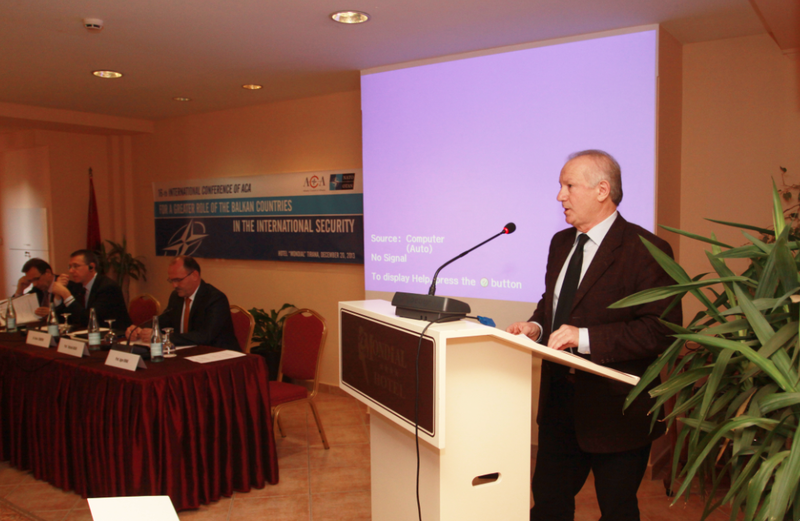 On December 20, 2013, the Atlantic Council of Albania organized its 16th Annual International Conference entitled "For a greater role of the Balkan countries in international security, at Hotel Mondial, Tirana. This year the conference main topic was “For a greater role of the Balkan countries in the international security”. In the Conference participated speakers from Albania and the region, Montenegro, Macedonia, Kosova, Italy, Greece, Bosnia-Herzegovina and Croatia. The conference was attended by about 150 participants composition of security experts, students, representatives of the diplomatic corps in Tirana, military officers, professors, members of the Atlantic Council of Albania, journalists, etc. 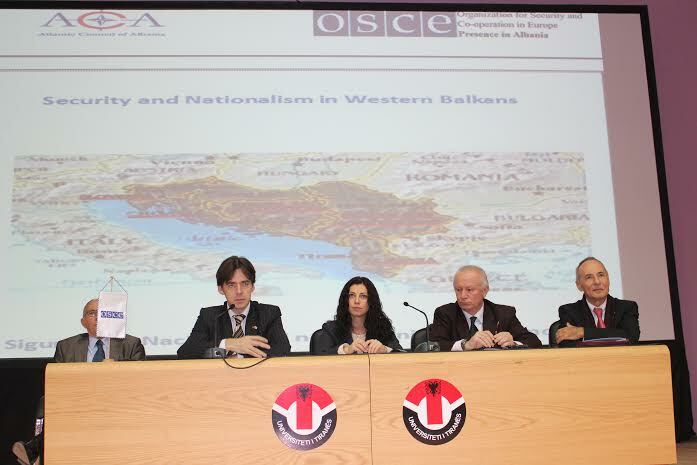 The Atlantic Council of Albania in cooperation and supported by the Presence of OSCE to Tirana, on 13 November 2013 started the application of the project: “Western Balkans and Nationalism”. In the opening conference held in the University of Tirana were present the Deputy Ambassador of the Presence of ASCE to Tirana, Mr. Ropert Wildom and the Chief of Security Department Mr. Guy Vinet. This workshop was organized by the Atlantic Council of Albania and Euro – Atlantic Council Macedonia in Struga, Macedonia, in June and July 2012. The workshop was attended by 44 representatives from 10 countries and from the NATO Operations Division and HQ KFOR, who presented national views and individual research in the field of sustainable development of regional capacities for emergency relief. 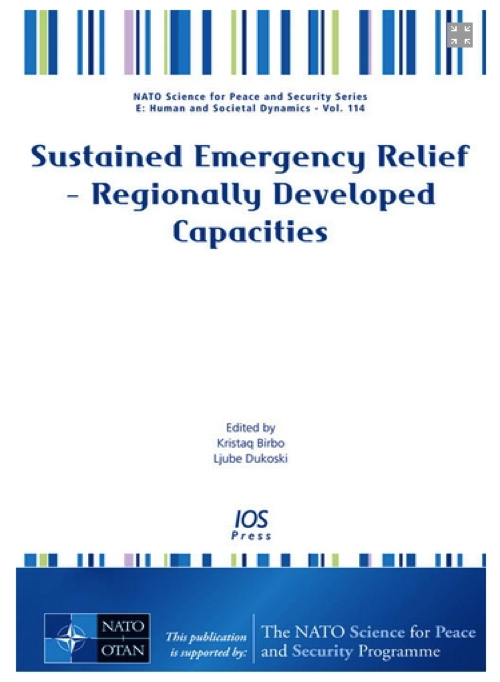 The book is divided into two sections: Capabilities for Emergency Relief - National Challenges and Perspectives, and Development of Regional Capacities for Emergency Relief in the Spirit of the Smart Defence Initiative. © Copyright 2018. "ACA". All rights reserved.